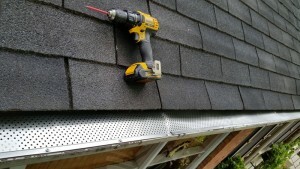 Let our gutter guard and leaf guard systems protect your home for years to come. Solid Eavestrough Gutter Guard Toronto offers the lowest prices on gutter protection and cleaning in Toronto and the GTA. 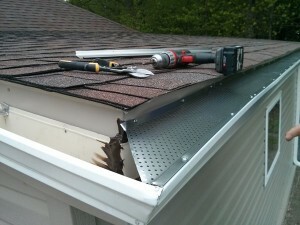 We understand that it is better to protect your home from the effects of weathering before the rain, sleet, hail and heavy snow and ice can clog your gutters and result in leaking to the interior of your home as well as costly repair. That is why Solid Eavestroughoffers top-of-the-line gutter guards and leaf guards to solve all of your potential clogging problems. 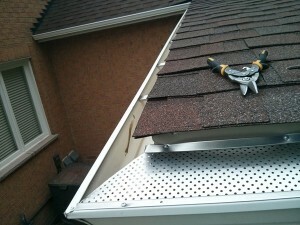 At Solid Eavestrough’ Gutter Guards Toronto we reinforce, secure and protect your entire home’s gutter system. to help it withstand the damaging effects of snow, sleet, ice and torrential rains. 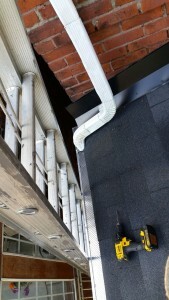 We will match the colour of your existing gutter system. You will have peace of mind and at the same time be able to stay off of those dangerous ladders. Let Solid Eavestrough protect your gutters, your home and your family into the future by installing our top quality guards. Contact Solid Eavestrough Toronto office at (647) 717-1127 today to find out how easy it is for us to install our leaf guards and gutter guards over your existing gutter system. Our simple addition locks into place over your present gutters to cut down your maintenance costs and keep you off of the ladder and on the ground. 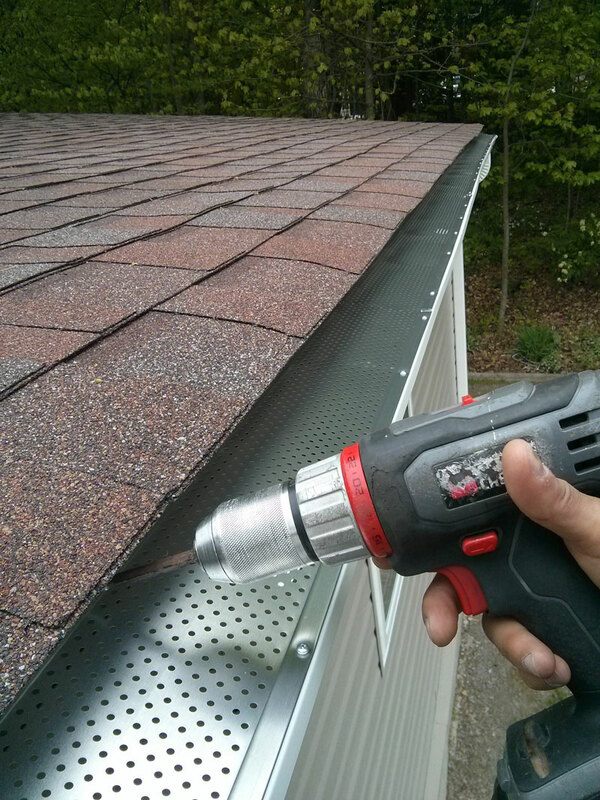 Request an estimate today, or contact us to schedule a service call when you’re ready! Your Solid Eavestrough professional representative will guide you through your options, colour choices and service procedures. After that, you can relax and enjoy the leisure. We has all of your needs covered! We were very pleased with Yaron’s quick response and professional, courteous service. He took the time to explain a couple of problem areas and offered options to fix them. We appreciated the before and after photos of the work. 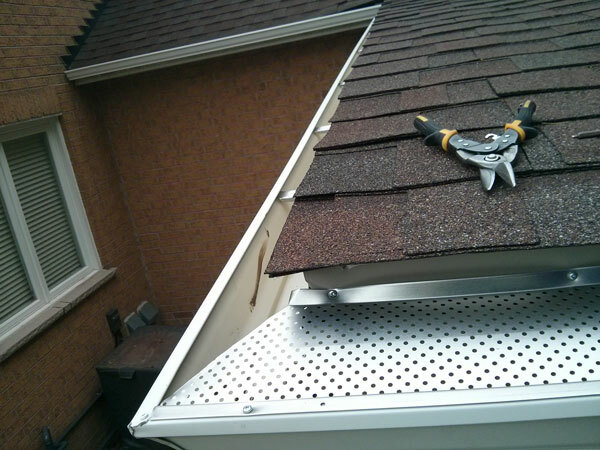 We would definitely recommend Solid Eavestrough, and will have Yaron back next year for exterior painting. Very helpful. Walked me through everything he did and did a great job. I needed a eavestrough cleaning and repair, and out of the 3 companies I contacted, he was the only one that picked up and replied! Reasonable price and gets the job done. Thanks a lot! 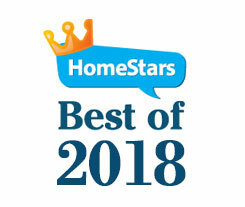 Excellent, Excellent service and price. Very punctual, professional and always kept me updated on the on goings. 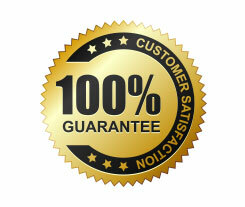 I would definitely recommend Yaron to my friends and will use his services in the future. Price was more than fair.